Sqlite Viewer performs quick scan before loading items to the interface. The scanning option helps to recover corrupt database files. Hence, a user can provide both corrupt as well as healthy file to the software. 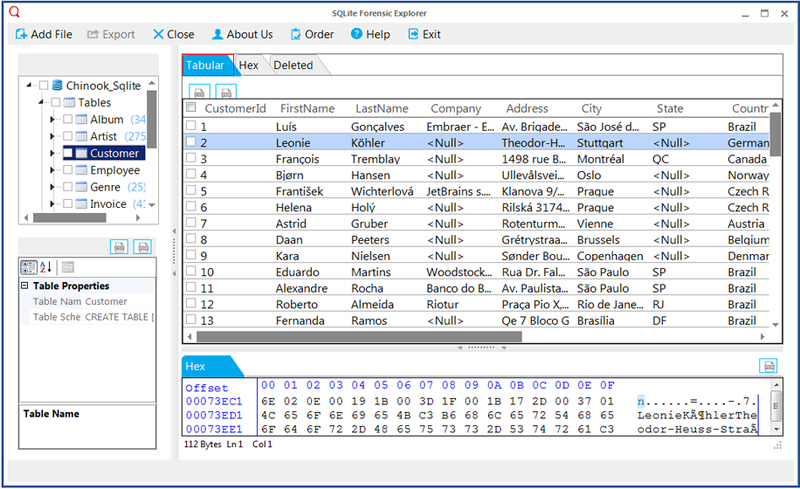 Sqlite viewer tool faciliate to preview various properties like structure, tables, byte code etc. moreover other multimedia components like image, video inside the BLOB data for through investigation of the database. The Sqlite file viewer tool uses color scheme to categories the data type (Active data, Secured deleted data, Deleted data) and the unallocated space of Sqlite database file can also be shorted through different color scheme. Sqlite viewer software permits users to scan and recover several file types of Sqlite database. It extends support to various file types like .db, .db3, .sqlite, .sqlite3, .fossil etc which belongs to different platforms. There is no limitation imposed on the maximum size of a file by Sqlite database Viewer. The tool can open files of any size and is tested successfully with database files having size in Gigabytes and Terabytes. When the tool scans database files, it provides a live database scan status. The status report contains the database name, number of items scanned in each component along with the total percentage of database scan. 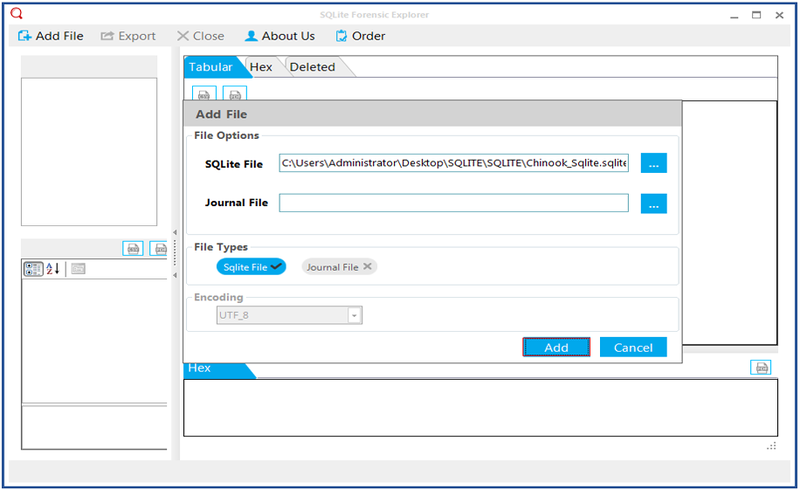 On scanning, recovering and loading database files, Sqlite Viewer allows users to view entire components of the file in the preview panel of the tool. You can successfully view tables, triggers, indexes and columns. 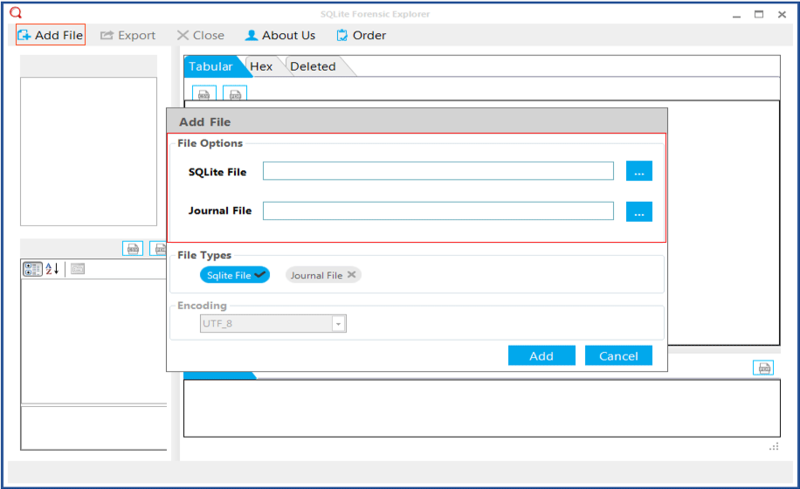 Once the data gets collected successfully, the Sqlite Viewer tool provides three different (CSV, PDF, or HTML) export options to save the data. Which can be helpful for further investigation or more assessment. 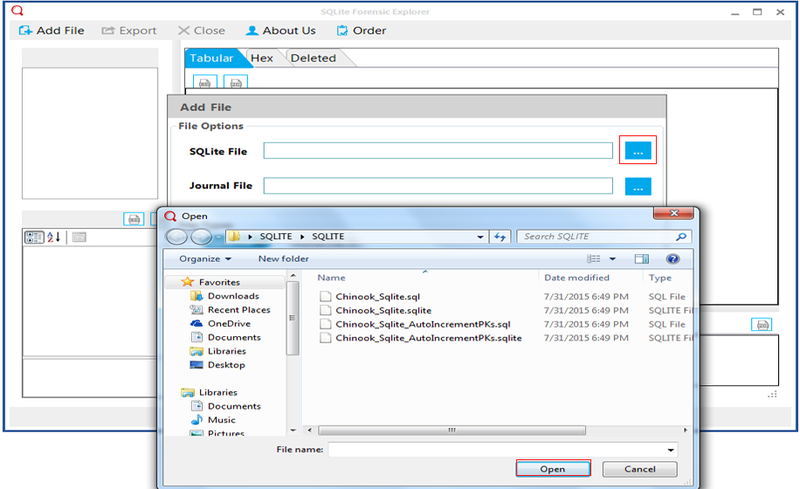 Why to use Sqlite File Viewer? Sqlite is the frontend database manager, deployed in various OS, applications and Browsers such as android, mac window, chrome etc. Sqlite being used in such a large scale by the users lead to the prerequisite of viewing and exploring Sqlite components and their structure in detail. So the Sqlite Database Viewer software will offer viewing and exploring database, it will display the components and also provide the scan option for corrupt database. The unsurpassed fact which make the software best suited one, is that being a Sqlite Viewer Tool offers scan option also provide a clear preview and advance search option with in the database, also it support Sqlite database files of various extensions and formats. If we see the main features of Sqlite File Viewer its main purpose is to scan and provide preview of Sqlite components. If see the insights of the Sqlite Viewer Software, it provide many other features which are listed. 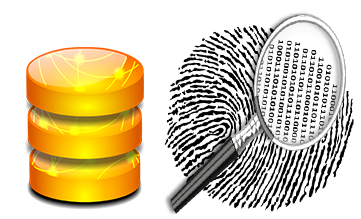 Recover the corrupt Sqlite database file using scan option. Allow to load corrupt or recovered database file. Provide live status of scanning process of corrupt database files. Give instant preview of recovered database file. Sqlite is a widely accepted relational database management system to be embedded in software applications on a varied platform owing to its zero configuration and transaction oriented database engine. Sqlite database is written in ANSI C and is stored in tables containing a number of fields and data types that can easily be accessed on any system supporting Sqlite with the help of SQL commands. However, Sqlite is not always used as a relational database. With no requirement for an administrator and no dependency on a server, the Sqlite database is much more reliable and robust as compared to SQL. Sqlite database file types and file extensions, which are used to store the database, vary according to the different versions of the application on which it is implemented. Let us get acquainted with the multiple file extensions of the Sqlite database. The .sqlite format is the default file extension for Sqlite database. The extension .sqlite-shm is related to Sqlite relational database for multiple platforms. This is a shared memory file and only exists when Sqlite is working on Write Ahead Log (WAL) mode. The file extension .sqlite-journal is associated with web Opener based on Gecko web layout engine. It is used by Mozilla Firefox to store data and backups. The .sqlite extension stores the WhatsApp messages database in encrypted form. Also, .sqlite3 is the main file extension associated with the version Sqlite 3 where database is a small C-library used by multiple applications. The .sqlite3-journal is used for temporary purposes. The extension .db is related to the main Sqlite database file that consists of one or more pages. The .db-journal is associated with Sqlite when database is distributed between database file and journal file. The .db3 is Sqlite database file, stored in text format and containing database structure and entries. The file .db3-journal is created to rollback upon data insertion to .db. In addition to above mentioned files, .fossil is used by the repository database in Sqlite. Can I preview a particular component from Sqlite database using Sqlite viewer Software? "I have a huge Sqlite database file and want to preview a specific component present in it. Is there any technique to view it?" 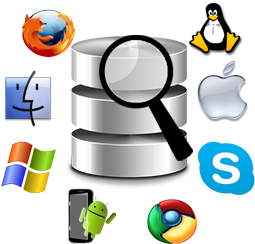 Sqlite Database viewer is designed to recover and view Sqlite database files. The search option of the Sqlite File Viewer allows users to find desired items from Sqlite database. Is it possible to preview components of corrupt database using the tool? "I need to examine my Sqlite database files but unfortunately, it got corrupted. I tried a number of tools to recover and examine the files but failed. Can I examine the components of Sqlite database using Sqlite viewer?" YES, Free Sqlite viewer is equipped with inbuilt scanning utility that can recover corrupt database. After recovering the database, the tool provides the preview of database components. What is the maximum file size supported by the tool?? There is no restriction imposed by the tool on maximum file size. You can add a file of any size to the tool. Is there any requirement of some other application for the working of the tool? "I have installed Sqlite viewer to view the components of Sqlite database on my local machine. Is there any need of some other application for the proper working of the tool?" Sqlite viewer software is designed as an independent application and hence there is no requirement of any other applications for its proper working. How much time will the tool take to scan database? The time taken by the tool for scanning the database entirely depends on the size and degree of corruption of the database. "I found the Sqlite Viewer Tool as a heart and soul solution for Sqlite data items. The features offered by the tool are simply brilliant. Thanks a lot for developing such an advantageous tool." 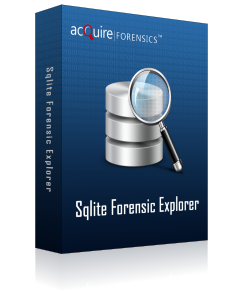 "Sqlite Viewer Software is definitely a wonderful tool. The best part of it is its support to multiple formats. I must say that the developers have done really well to make it a success. Thank you so much for designing it." "Recently I came to know about Sqlite file viewer. Initially, I hesitated to use the tool but my cousin suggested me to try at least once. I was surprised to see the result provided by the tool. Now, I can confidently suggest other to try it." "I tried a number of tools to preview Sqlite data items but was unable to get the desired result. I came to know about Sqlite database viewer and was pleased with the result provided by it. Thanks guys for providing this useful tool."